Carmen Electra (born Tara Leigh Patrick on 20 Apr 1972 in Sharonville, Ohio), American model, actress, and television personality. Carmen starred in the movies Starsky & Hutch, Scary Movie, Date Movie; and on the television show Baywatch. Carmen Electra appeared in commercials for Maxim Men's Hair Color (2004-2005) and Taco Bell (2006-2007). 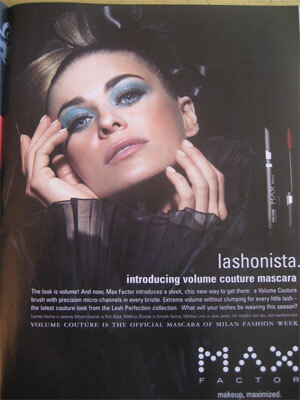 Carmen signed as the spokesmodel for Candie's fragrance in 1999 and MAX Factor in 2005.